Thread: Any Gibson heads with knowledge? I've just plunked for an undated ES-125 I got at a good price. Two P90s and regular tailpiece. What should I be looking out for? Excessively tall bridge height. That is a sign of the top collapsing. That is the only specific issue I've heard about with these. Default nailed it. I owned a’58 125 for years, it was built like a tank. No other problems with this model I’ve heard of. Looking forward to a full review whrn you get it. Looks like a very nice guitar...It is the first I see with a cutaway. Beautiful ! 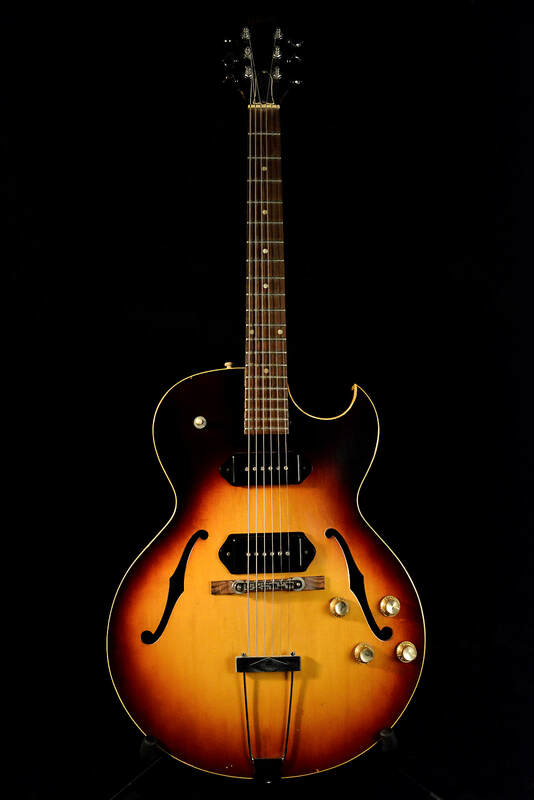 is that the thinline, or the full-body version? year? Very cool. Is this the thick (~3.5") or thin (~2.5") body version? Thinline. Incorrectly listed. I will ask for a pick of the action. Sinking is obviously a problem with all archtops. I had that with an SFIII which meant it was never any fun to play. Tops sinking is something you tend to see on early 50's to about 56-ish Gibsons, the tops were very thin between those years, and I've seen quite a few that were losing their arch. This one looks like 60's (right? ), tops tend to be thicker on those and don't usually develop problems. You'd want to check if the neck is still at the right angle, still firmly attachted to the body. That's a problem with quite a few thinline hollowbodies - short heel, less secure neck.